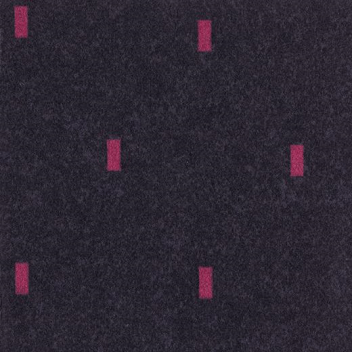 This modern needlefelt flooring with a classical “box” pattern makes it especially suitable for use on large floor areas. The high quality of Markant Graphic City stems from the use of 100% polyamide fibres in its top layer, with a fibre weight of 600 g/m² and a total thickness of 5.5 mm. Markant Graphic City is a high quality needlefelt flooring with 100% polyamide fibres in its top layer and a fibre weight of 600 g/m². The total thickness is 5.5 mm. 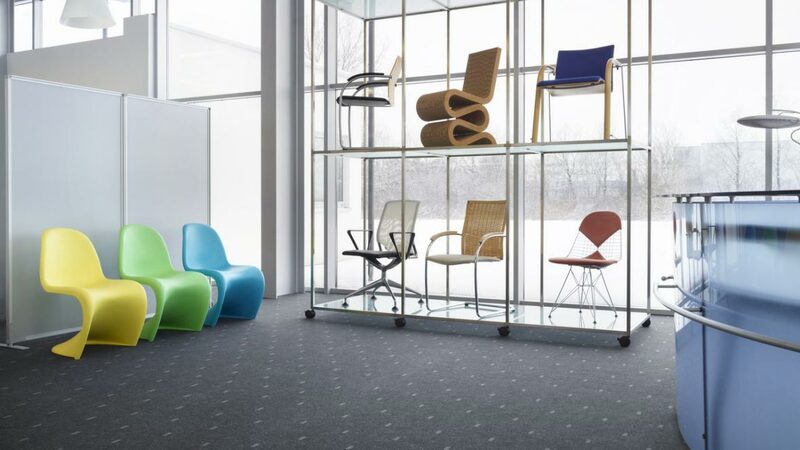 The high quality of Forbo needlefelt flooring stems from over 40 years’ experience in the manufacture and supply of this hard-wearing flooring. We work only with high-quality fibres designed to provide extra protection from dirt and soiling, which simplifies the task of day-to-day cleaning. All of our Needlefelt floors offer the maximum, hard-wearing performance that comes with being classed as extremely robust (Class 33) in accordance with EN 1470. 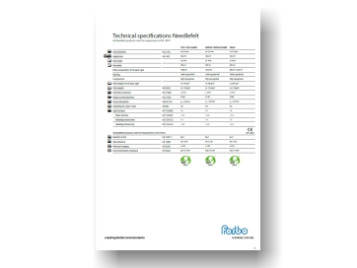 Forbo needlefelt carries the GUT seal of approval issued by the German Carpet Research Institute for “contaminant-tested textile floor coverings”. We use high quality polyamide fibres and a full latex impregnation for all our needlefelt carpets. These fibres are designed to provide extra protection from dirt and soiling. This simplifies the task of day-to-day cleaning, whilst helping to maintain the right “cared-for” appearance. Forbo Needlefelt measures pedestrian-noise levels of between 20dB and 22dB which mean reduced ambient noise, making it ideal for use in places which require a tranquil atmosphere and a minimum of noise distraction, such as offices. Needlefelt flooring is also ideal, much more so than conventional carpeting, for laying in places where castor chairs are used. Needlefelt carpet is highly suitable for use in rooms with underfloor heating, thanks to it's excellent heat-penetration properties. The Forbo Needlefelt range is available in 3 qualities designed to meet different requirements: 750 g/m2 fibre weight (Forte & Showtime), 600 g/m2 (Markant) and 500 g/m2 (Akzent). 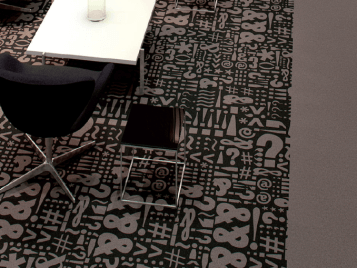 With Showtime we offer a new and flexible flooring concept which presents exciting printed designs and uni colours with the possibility to recolour your chosen design. Forbo Needlefelt floor coverings are easy to clean and maintain.